Because I’ve got some news. But guys, The SAT’s are changing. I know. High school me is legit wigging out on the inside. The essay — optional. Calculators — banned for parts of it. Vocabulary — less obscure and more “workplace-oriented”…whatever that means. And lastly….it’s going to be offered digitally. I know. I’ll wait while you collect yourself. I have a very sad feeling that #2 pencils are slowly becoming extinct. So, I have a confession. I am clearly not in high school. I am a twenty something New Yorker. I don’t own a snapchat. I’ve worn a croptop all of 2 times. And (spoiler alert) I don’t “FeelTheBern.” So, in an effort to stay relevant with the youths of today, I do a little recon work. I know. I am so cool. But the other day, I was killing time doing my new favorite activity: listening to podcasts. Seriously though, they’re the best because you can be listening while you go about your day. And plus, it makes the lines at Trader Joe’s much more tolerable. Anywho. One of the featured podcasts was by a teen girl living in New York. So, clearly….I gave it a listen. And this sweet girl was having a mini melt down about the new SAT test. But amidst the ermahgerd’s and “can’t evens,” something she said really struck me. And made my heart hurt. She said that the new test is stressful because she just wants to be able to prove herself to the college admissions boards. Oh my heart just goes out to this young girl. And yes, I fully acknowledge that there is some bit of truth: tests are designed to show your ability and mastery of topics you learn in high school. But my goodness, this test does not determine your worth as a human being! What kind of expectations are we placing on students if they equate their SAT score with proving their worth as a person!? But in all honesty, I know the answer to that question. Because I was right there in high school. The over-achiever syndrome: perfectionism. And for me, it seeped into every area of my life: from my wardrobe, to grades, to refraining from drinking, to extra curriculars, to appearance…eventually leading to a severe case of anorexia. When I heard this young girl lamenting over the need to prove herself, it took me right back to that head space that I knew all too well. There is nothing more toxic – nothing more insatiable or addictive – than the feeling of needing to please other people. Needing to prove oneself. 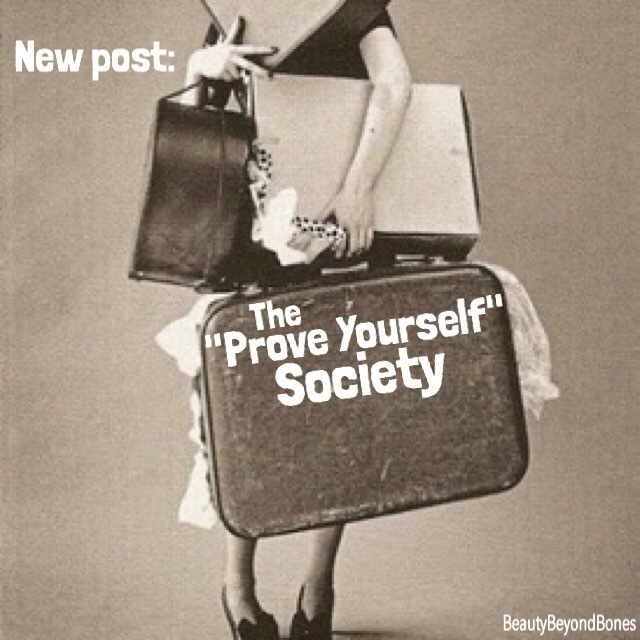 And for me, it was never about proving myself to other people. My family and friends never expected perfection. And I knew that. I needed to be perfect because I expected it. And to be 100% honest, it is something that I still am working on today. Here’s what I have to remind myself every morning. When it comes to me and my dignity and worth as a human being…there is nothing that I can do to prove or verify or influence that. Because that has already been proven by God. He has already determined it. Declared it. Proved it when Jesus went to the Cross. He said, this girl, and all her baggage, is worth dying for. And you know what? That takes all the pressure off of me. I don’t have to wear a certain outfit or brand. I don’t have to have my eyebrows on fleek like all the YouTube beauty bloggers out there. I don’t have to get a certain test score, or be friends with a certain group, or drive a certain car, or go to a certain school, or attend a certain party. No. I can just let all that go. God says I have nothing to prove. Even though I fall short. Even though I am a walking hot mess 95% of the time. God sees the heart. God sees me with eyes of mercy. So if you’re reading this and are stressing out about the new SAT’s — or really just about anything for that matter — applying for jobs, looking for a significant other, paying off student loans, waiting for college admittance letters, making new friends….just take a breath. You don’t have to be perfect or prove yourself to anyone. Including yourself. Because you’ve already been proven worthy. No matter what your SAT score. Totally nailed it. Loving your perspicacity BBB. We don’t have SATs in NZ but the pressures are real just the same. Thank you! My 17 year old daughter needs this advice! Awesome post and insight! Aww that’s so sweet! Thanks! Well said. Hey you are Gods special one. Ahh, that was just lovely! So well said. I often feel bad about the kind of culture we’ve created where it is all about proving yourself, in order to pursue wealth and success mostly. Our priorities are a bit skewed and with rather tragic results. I rest my case, prophet. Great piece! Really needed to read this! God bless! Good words. As long as I am willing to put my self -worth in the hands of someone who can take it away, I set myself up to fail. If we can just relax and be ourselves that is a pretty impressive achievement. These are some really great thoughts. Thank you for writing the piece. Tweeted it, pinned it, shared it on Google. Absolutely beautiful post. Beautiful post- absolutely spot on! The same to you brilliant woman! Best line of the whole thing: “He said, this girl, and all her baggage, is worth dying for.” Dying for someone messed up, because you want to help them get better…this I can see. But her baggage?!? I used to be a corporate instructor, and we all got the same comments every week; room is too hot, room is to cold. Food is great, food sucked. Pace too fast, pace too slow. You learn fast that no one bats 1.000 no matter what you’re trying to do. At the end of the day, proof never really happens. God loves me. I hope you do too, but if not, I understand. A corollary to that is “Everyone is someone’s jerk.” Even me. We’re all flawed, we’re all loaded with baggage, and God thinks we’re all worth it. Beauty, you’re always a good read. Thank you for keeping them coming! I have nothing to prove – love it! Thank you ! You rock more, friend! You proved that you are totally amazing and that you ARE Beauty Beyond Bones. You are beauty all around in and out, up and down. So right…so valued…so cherished…that He wrote our names in red. This is a beautiful post. Thank you! 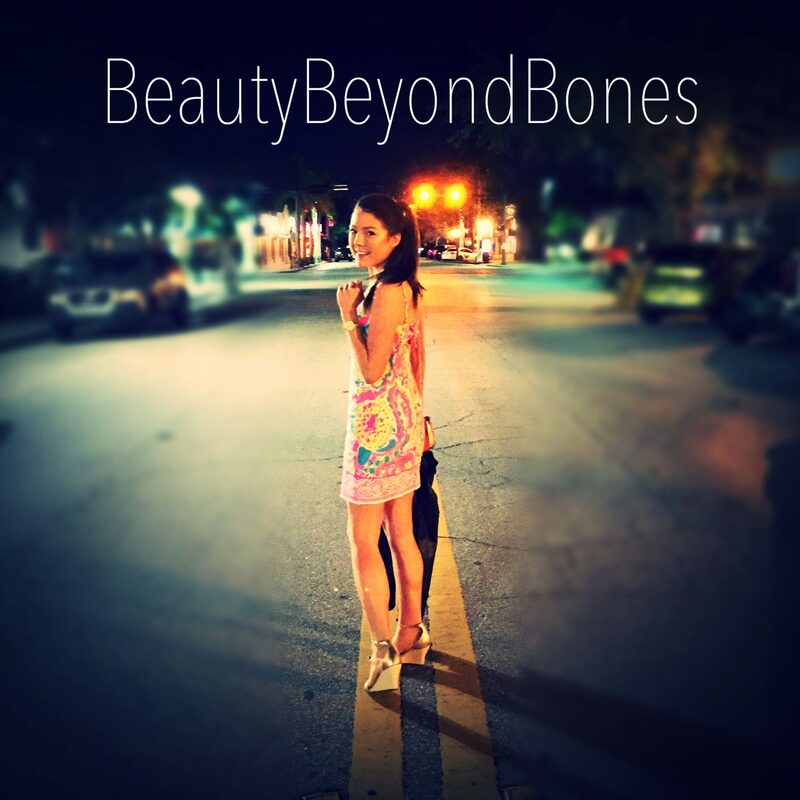 Another great insight from Beauty Beyond Bones. Whoah… just simply straight up …whoah! You can’t really get deeper then this. Hearing you talk about that need to prove… to please …moments and feelings from my last created up like dirty little skeletons. Thanks to schools we are taught to think are lesser than we are. Because to school out worth is determined by words on a paper. ..just… I mean I could talk about this topic better myself. Do you mind if I link you on my blog because this is something I have been delving into in my personal life and I have been discussing it on my blog. Let me know! Well said as usual by the way. I see your heart also! You are very special! I got 2 degrees in college, one with honors. I’ve always been proud of my diplomas. I wanted to prove myself too. But what is my situation ATM? I’m on long term sick leave after burning out at work on a low qualified but yet exhausting job. So what am I? I am my parent’s precious daughter who they nearly lost. I am my best friend’s faithfull friend in the best and worst moments. I am a human creature trying to improve herself and her soul every day. Thank you for sharing! Great piece!:). Nice….I love this. I hope I never let myself get lost in the crowd. People pleasing…..let me count the ways….I am an expert. But, God has shown me a better way. What a beautifully emotional post! In support of it I offer this thought: In John Milton’s sonnet “On His Blindness”, he wrestles with the question of how he as a blind person can prove himself, especially to God, in a sighted world. The last line says it all, “They also serve who only stand and wait.” As you say, Christ makes up the difference in every case. I can’t believe the pressure that kids have now. My husband and I joke to ourselves that our “average” kids are bringing down the neighborhood. My son’s in 4th grade, and he feels the pressure from his super achieving friends. My daughter could care less. It’s hard to raise “average” kids in today. Great post. Beautiful post and expressive of great empathy. Trying to be perfect is so hard … the reality is that it is impossible. That is why Jesus Christ had to sacrifice Himself on the cross .. to take away our sins [imperfections] because we could not be perfect. Once we realize that perfection rests in Him alone, the only One who was perfect, then we have freedom from that burden and we can truly be who God wants us to be, because we will be relying on Him to give us the strength to do that which he asks. It is hard to be young! I am 40 years past the 20s — if only I could have understood this long ago, life would have been so much easier! But, it is also hard to be old! Rely on Christ and that makes things much better! God I really identify with your perfectionism at High School. I’m not surprised you had it as it is heavily linked to eating disorders. I just had to be top of the class in every subject even though I was clinically depressed and dying inside because of my parents divorce. And because my appearance couldn’t be perfect I became obsessed with changing it which made me very ill. The perfectionism came from my parents being hyper critical of my appearance and character I believe. Perfectionism has caused me so many problems in life it is only now that I am getting over it. So, yet again I am blown away how you write, also Iddon’tknow about you but it sseems that everyime Iwrite one of these I receive an attack so I’ve took to praying for you every time I see you write as well please keep it up! We find our identity in him! Felt a nudge on my shoulder when I read this about having to prove myself to anyone and I am a middle aged lady! Thank you for this and for your testimony. You are one brave lady. Keep writing my inspired friend. Well said… Maybe a future blog topic could be, churches supporting the incorrect quest for perfectionism. This so prevalent in our churches, people being mislead. Thinking doing and being the best in church is the way. So sad and so hurting or God’s people. Thank you for sharing your heart. Very good writing again. I loved the old wall phone in the pic. Very retro chic. It just called to me. I don’t hardly even know what to say but that this runs so deep in me. There is so much weight put on what we DO to determine our value, and following a move from a great job and a functionally nice house (that even the great job couldn’t keep up to the rent and utilities on) but mainly the great job, to a ramshackle cabin in my in-laws’ back yard with no concrete job or secure income, well, I gotta say I’m feeling the pressure. I wish I could say it loud enough for everyone to hear that worth isn’t determined by what you do, or how well you do it. This is so beautiful and something I also have to work on! I really like this post. It is certainly a message worth repeating again and again. Infiltration of the lies that the enemy tells our youth. Actually that he tells us all. Thank yet so much! I really appreciate it:) hugs and love! Perfectionism…..may always be a struggle for me. My family of origin was out of control (addicts + drunks), I was repeatedly abandoned and hurt. Out of this grew my lack of self worth and a mythical perfectionism that held the illusion of safety for me. On one hand it served me and helped me survive, but the reality of it is a life of fear and hiding and acting and pressure to be something you are not. But when I listen to God and hear how valued and treasured I am and I speak to myself like Jesus would….I feel the perfectionism slip away. Really good blog. Perfectionism is a terrible trap. If we are caught in it we never know when we have done enough/have become good enough so we are doomed to keep striving. Love this post! I too struggle with perfectionism and it truly is insatiable. Here’s to all of us recovering perfectionists and being nice to ourselves! Thanks so much for posting this now, when you did. I needed the reminder! Beautiful post. ❤️ There is so so much pressure to be perfect, prove yourself. I think it particularly focuses on teens, but we all feel it. And you’re right: we have nothing to prove. We are enough as we are. Amen sister. I am embracing wabi sabi. One thing I love, love about growing older is how liberating it is! SATs were a big deal when I was in H.S. but they don’t prove a thing. I was one of those kids that was in the top 10% of my class but did lousy on the SAT – I’d probably do better with the written test today. Today though, entirely too much emphasis is put on testing from a young age. It’s a big business money maker and serves no real purpose (I know I used to grade the 4th grade state tests in NYC) and stresses out the kids. My kid is in 3rd grade and is currently taking the state tests for reading and math. I told him – “Don’t stress it, tests are supposed to evaluate what you already know and what areas you need to strengthen or fill in. Don’t worry about it, just do your best and remember to go back and check your work.” He thought I was crazy, but I know kids that get sick, literally sick over this. What are we doing to our children, especially teenagers that they are taking 7 AP classes, doing travel sports, taking private lessons on a classical instrument, and volunteering – only to burn out at a young age? We should teach them coping skills and how to deal with disappointment and move on. Another beautiful post, you keep being you, and remember we learn by making mistakes. That’s it – Jesus dies for each of us individually. Not the whole of mankind but for each and every one of us. Mind blowing, for sure! It is an empowering and humbling thought. This brought me to tears. You are such a good spokes-woman for body issues. I am thrilled to see so many people following you. You are that good, whether you need to be or not. God has given you a gift of wisdom, communication, and a platform where you are being listened to. Amazing. I love this! Our society today puts so much pressure on the individual to live up to something. ‘If you want to be somebody then you need to strive to be that person!’ And so man instead of God determines the value of a person by their achievement. Yet if we Believe the Bible then going back to Genesis 1:26-28 we must see how we are made in His image. In Hebrew this word for image is used (I think) 17 times in the OT. several of those times it’s talking about an “idol” in reference to another God. And so we see through this that God has set us here on earth to be His image. This is who we are! The set bar to live up to is to be with our creator God! Someone recently gave me a word from the Lord saying, “Jonathan it’s not what you do that pleases God but who you are.” This has thought has become strange even in my mind despite being a christian for most of my life. I seem to constantly struggle with wondering how others see me. Our culture has told us that, ‘we must do something to be of value.’ And yes there is value in what we do, but that doesn’t determine how valuable we are. Our value comes from God because He made us in His image and even though sin has tainted that value we are redeemed through Christ’s sacrifice to us. Again, great topic and writing. Keep sharing! Awesome write up. Loved it. Hi, how are you? I would love to be featured on your blog as a guest. I love to share my experience on my childhood days with you and your readers. I hope you don’t mind. And I would really appreciate it a response. Thank you. Hello. Thank you so much! Amazing post. You’ve just gotten a new subscriber. I love how you really emphasized on embracing oneself. This is one area I myself struggle with. I have come to realise that I am made perfect in Christ , I do not need to please no one or conform to society standards or expectation. Looking forward to reading More of your posts.